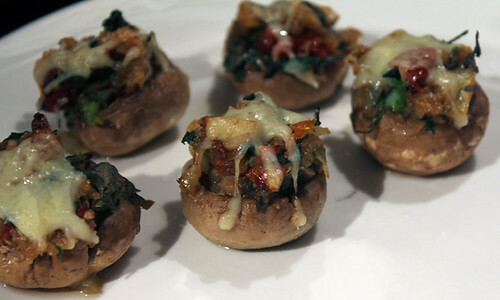 Stuffed Mushrooms | Abandon Spoon! 2. 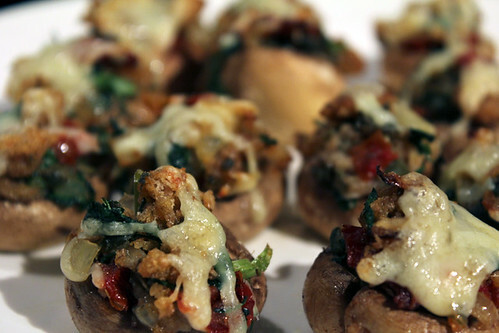 Remove the stems from the mushrooms and finely chop and set aside. 3. 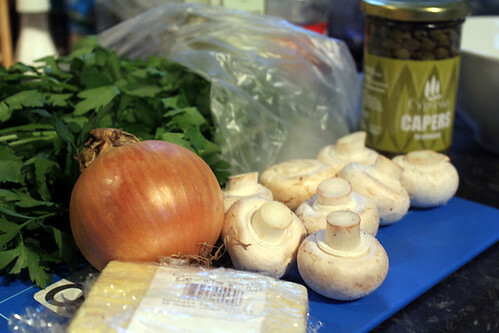 Heat 2 tbsp of olive oil and add the mushrooms on a medium heat and saute until soft. 4. 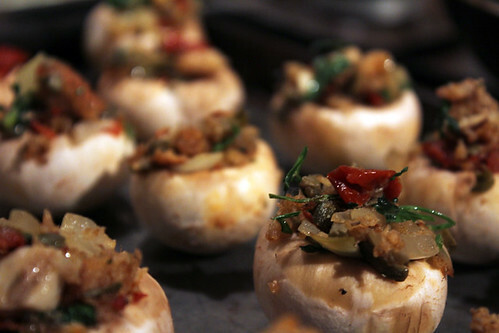 Add the mushroom stems and saute for 1-2 minutes. 5. 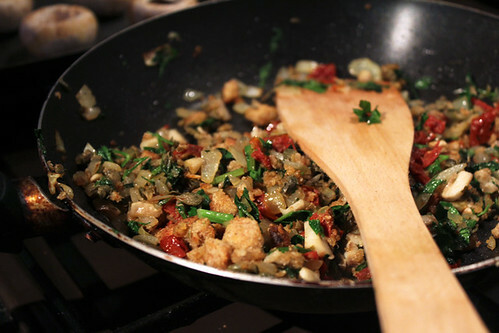 Then add the parsley, tomatoes, breadcrumbs and capers. 6. 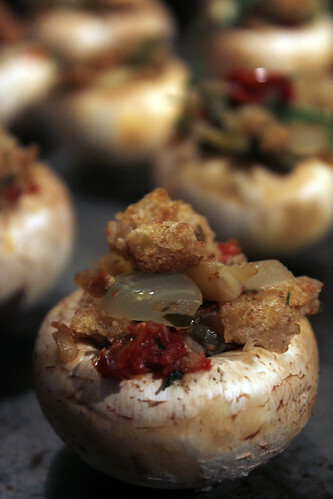 Fill each mushroom cap with the crumb filling and place on a baking tray. 7. Top with grated cheese and a drizzle of olive oil. 8. 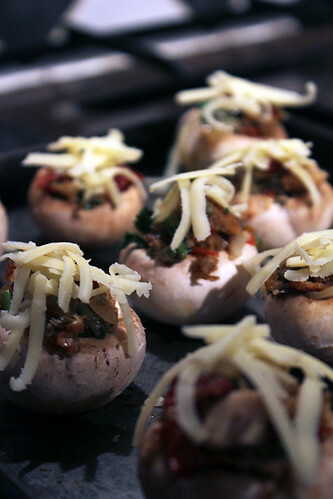 Bake until mushrooms are tender- approx 15mins.